This USC professor who climbed the highest mountains now has scaled a new summit­ – resuming flying. Did we mention Patrick Hickey has a fear of heights? Listen to Hickey explain how he overcomes that. Patrick Hickey fears heights, yet he’s climbed the Seven Summits – the highest mountain on each continent. And now he’s regained his pilot’s license. 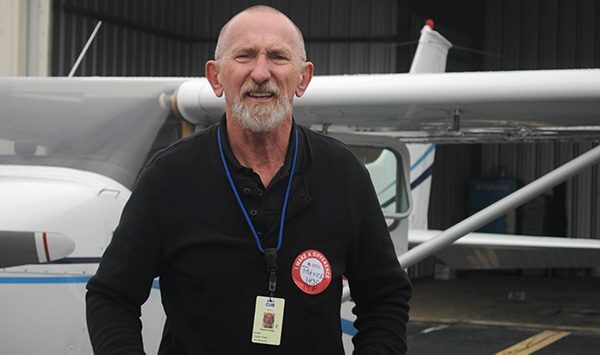 Patrick Hickey decided to renew his pilot’s license after 30 years of not flying. Yet no matter how many flights he takes, Hickey, who scaled many of the world’s tallest mountains, says his fear of heights doesn’t lessen. Yes, you read that correctly. 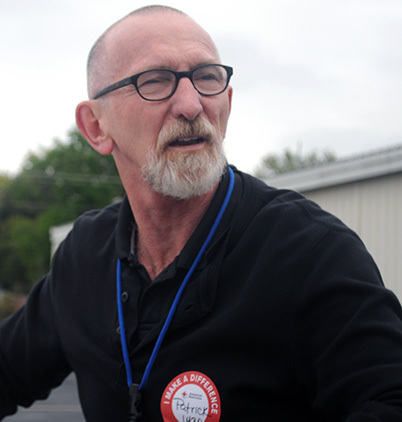 Hickey, a nurse and the 63-year-old faculy principal of USC’s Capstone Scholars program, has consistently sought to challenge himself through experiences that seem hard for the average person let alone for someone whose biggest fear in life is heights. A year ago, Hickey decided to renew his pilot’s license. 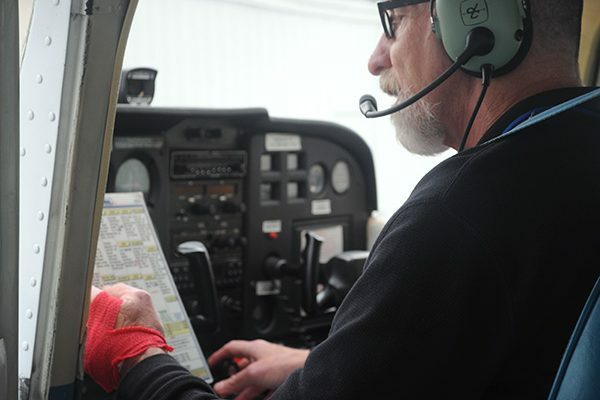 He had to fly 30 hours with a certified instructor, one for each year he had not flown since originally getting his license in the early 1980s. He says he had no support from his wife, Carol. And with each flight and each new gained hour of experience, Hickey’s fear of heights did not lessen. “Every time I fly I love takeoffs, I love landings, but I have a really hard time looking out the plane, like looking down,” Hickey says. “When I look down and see how high up I am it freaks me out,” he says. Read about Hickey’s trip up Mount Everest and his fundraising goal for the trip. Read about the tactics developed by the Israeli Air Force to help pilots who are scared of heights. Learn more about the steps required to become a pilot from the Airline Owners and Pilots Association. Find details at the AOPA site about the different private pilot licenses. Get a sense of how some pilots deal with their fear of heights in this forum at Jet Careers. Fear of heights, or acrophobia, in pilots is common, according to researchers and pilots themselves. Many pilots who are scared of heights are able to fly, though, because they say they gain comfort from being in control of the plane. They may still tremble at the thought of climbing a 6-foot ladder or riding on a glass elevator, but the feeling of control when flying makes their fear manageable. Hickey says he wants to be a mentor for children ages 6 to 16 in the Young Eagle club at Jim Hamilton-L.B. Owens Airport and take then on their first flight. He hopes to eventually join a medical mission flying people and supplies into countries that need them. He’s now working on his instrument flight rules so he can fly in and above clouds. Click on the photo below for a slideshow in which Hickey shows how he inspects his plane before takeoff and talks more about regaining his pilot’s license. Although Patrick Hickey likes to challenge himself, he plays it safe when it comes to bad weather. He hasn’t flown in rough conditions yet, though it is a goal of his to learn his instrument flight rules so that he can in the future.